In recent issues, I’ve described Windows 7′s four levels of built-in data protection, each with differing capabilities for preserving your data. Now I’ll tell you how to dig the data out of your backups, whether it’s a single file, a folder — or even your entire drive contents. This extensive, multipart data protection is easily the best ever built into Windows — possibly any desktop operating system. Used properly, Win7′s tools can help you get closer to the Holy Grail of data management: the total prevention of data loss. Stated more simply: Win7′s built-in, data-backup-and-recovery systems can ensure you might never again experience that awful “Oh, no!” feeling when you realize an important file has been incorrectly altered or deleted. Almost all the coverage referenced above was focused on getting your data into Windows 7′s various protective systems. Now you have to know how to get your data back out of the backups when needed. My sample file for this how-to is a simple Wordpad .rtf document called “Windows Secrets Test File” that I created on my desktop PC. I then deleted the file after it was stored as part of a normal, automatic Win7 backup. At the start of my recovery process, the test file is no longer on my desktop, nor is it in my Recycle Bin. The test file exists only in the Win7 backup system. Now I’ll walk you through the process of locating and restoring that specific file from my backups. You can follow along on your own system, if you’d like — assuming you’ve made at least one backup using Win7′s built-in system. (See items 3 and 4 from the list above.) You can choose any file for your test restore. Figure 1. The easiest way to invoke the Backup and Restore applet is to type backup into the Start menu’s search box. The Backup and Restore applet will open, showing you something like what you see in Figure 2. Of course, the details will be different on your system, but the general layout will be about the same. Figure 2. Win7′s Backup and Restore functions share a common interface, which makes for a busy dialog box. But the restoration steps are relatively simple. When you’re restoring data, start by looking for Last backup and Contents, highlighted in Figure 3. 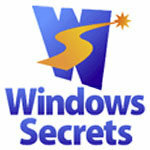 Windows Secrets Microsoft Windows 7, Windows 7, windowssecrets newsletter. permalink.